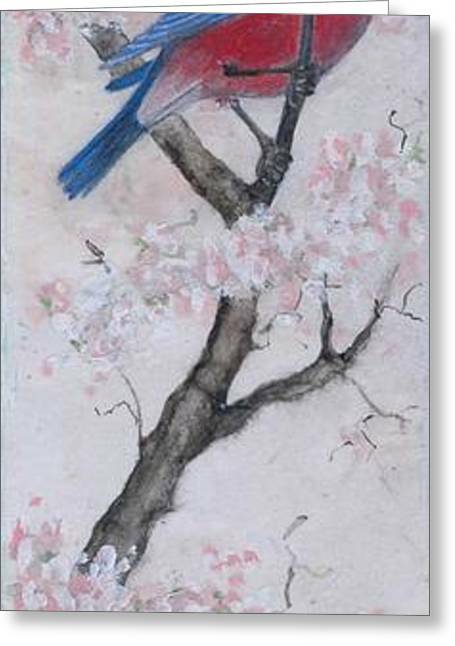 Blue Bird In Cherry Blossoms 2 is a painting by Sandy Clift which was uploaded on January 15th, 2010. This piece was done using a collaged surface. The branches were painted with watercolors and acrylics. The bird was painted with acrylics. There are no comments for Blue Bird In Cherry Blossoms 2. Click here to post the first comment.